Extend your system LF all the way down! 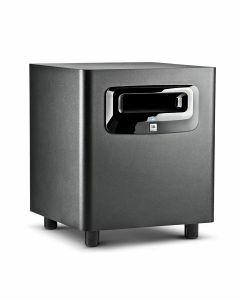 The LSR310S subwoofer incorporates JBL’s patented Slip Stream Port working in concert with a custom 10" down-firing driver and a 200 Watt amplifier to add deep, powerful bass to any studio monitor system. A JBL first, the XLF Extended Low Frequency setting lets you hear your tracks with the augmented bass tuning used in today’s dance clubs.